Operation Drakensberg Elephant was a 22-day expedition to the Drakensberg Mountains and surrounding area in the country of South Africa. 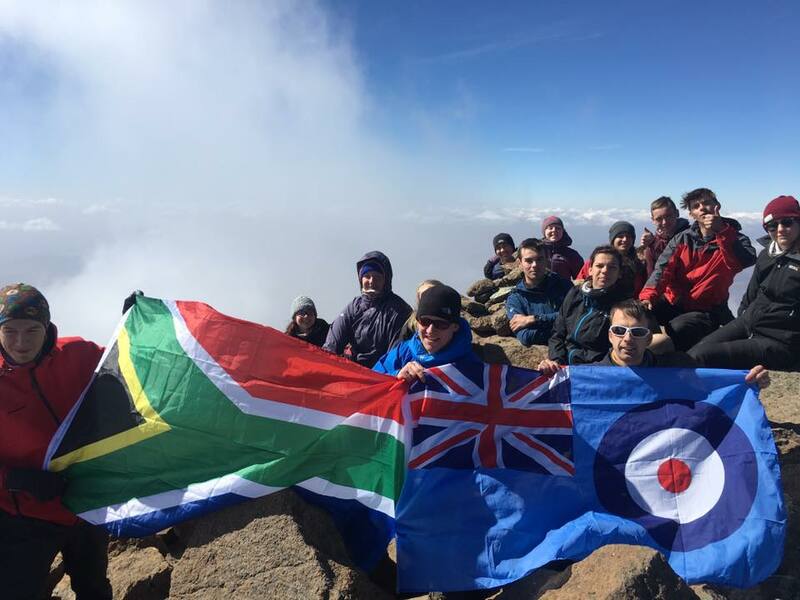 The expedition encompassed 27 air cadets and 6 staff from across Warwickshire & Birmingham Wing with the primary objective of providing an overseas expedition focused on 3 weeks of Adventure Training, cultural education and engagement with local communities. This was the first time Warwickshire and Birmingham Wing had organized an overseas venture. From the inception of the expedition it was envisaged that the activity should be accessible to all irrelevant of financial situation and physical ability. A major challenge of this expedition was making the venture as cost neutral as possible resulting in 18 months of intensive fundraising activities. Many thanks to all who supported and a special thank you to the Ulysses Trust who were the biggest single financial contributor to this incredibly successful expedition. Upon our arrival at Entabeni, our first endeavour was to complete the project work within the local Zulu community’s primary school. There were several improvements we had decided to facilitate at the local school; Fix the kitchen roof and fit new kitchen equipment, which included a double gas burner as opposed to an open fire, to re-vamp and fix the playground, put up some new supports for the roof on the main school building as well as clearing their vegetable patch and planting new vegetables. This project work massively benefitted the local school children. 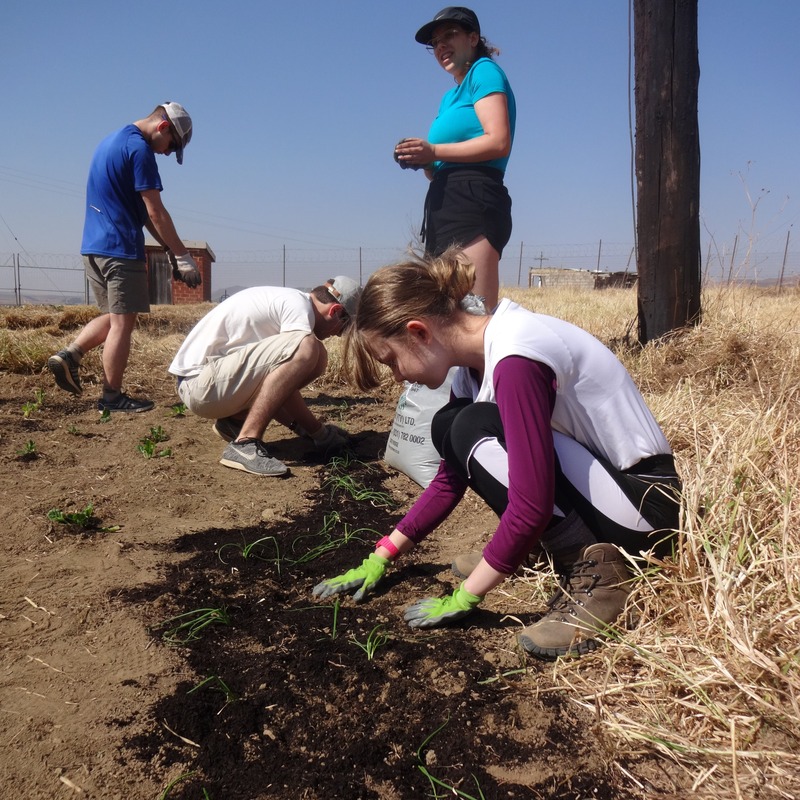 Furthermore, the vegetable patch that Lydia, with the other cadets, had spent two days raking, weeding and planting potatoes in, would also benefitted the village, as the school could provide better lunches for the children. After the project work had been completed, we spent the afternoon playing with the children and the new sports equipment we had provided them. Another of the cadets, Nina, taught the children how to play Duck, Duck, Goose. A simple game for us, but she wanted to teach them a game they could play without equipment, as they may not always have any. The project work not only had an effect on the local community, but also Nina, herself. She has now expressed an interest in going out to Entabeni to work as an intern in a gap year before heading off to university. In the run up to the Venture, we needed to provide support for the cadets to prepare them for the trek in particular. Two training weekends were organised for all cadets and staff. Several cadets needed to improve their fitness levels to ensure the expedition section of our venture would be challenging but realistically achievable. Warrant Officer James Wilson put together a training programme for these cadets. A couple of cadets in particular struggled physically. However, they worked hard to progress their fitness as well as adapting diet. On the acclimatisation day, we all summited Mount Lebanon in the Highmoor region of the Drakensberg Mountains with full expedition kit. After this we had a chat with one cadet, who had particularly struggled. She was unsure whether she wanted to complete the expedition at all. As staff, we wanted to ensure that this venture was accessible to all but that everyone could be challenged suitably, so we had a High-Drakensberg Trek and a Low-Drakensberg Trek. The conclusion was that the low trek still posed a challenge, but was realistically achievable. All went on to not only complete the trek, but to enjoy it and some have continued to challenge themselves upon the return home. Only a month after our return one particular cadet has completed their first ever local fun run. This shows a change in attitude and desire and has shown that person that should have far more faith in their own ability. The High-Drakensberg group certainly had an adventure. On day 3, the group summitted Giant’s Castle at 3315m, the first cadet group in 2 years to do so. Upon our return to basecamp, at Giant’s Pass, on the evening of day 3, we had dinner and headed off to bed at about 7:00pm. We were abruptly awoken at 8:45pm to gusts of 100mph winds, battering our tents. The wind persisted throughout the night. This led to little or no sleep for the majority as we braced our tents until the morning. Even doing so, we ended up with 2 collapsed tents and several broken poles. Quite the experience. At first light, around 5:30am we packed everything up and headed to lower ground, off the ridge into the valley. The lower group meanwhile, were evicted from their cave due to a double booking (who knew you could book a cave?) and the higher group were almost literally blown off the Drakensberg! With a day of recovery after the Treks, we traveled to Isandlwana, where the Anglo-Zulu Battles took place. We had 2 days with our guide, Tulani, who took us step-by-step through the events that took place on the Battlefields. From the Battle of Isandlwana, down the Fugitives Trail, to the Battle of Rorkes Drift. It was very insightful and quite emotional for some as you could see where the Zulu soldiers came into the battle, where some of the British fled to Rorkes Drift and then to the fortifications that the British held up. After the Battlefields, we travelled to Albizia camp in Hluhluwe. There was a morning walk in the game reserve, where we learnt about conservation in the park and the surrounding parks, with particular attention to the endangered White Rhinos. Around the campfire that evening, our host, Tommy, explained how many White Rhinos are currently being poached annually and how the number is increasing. 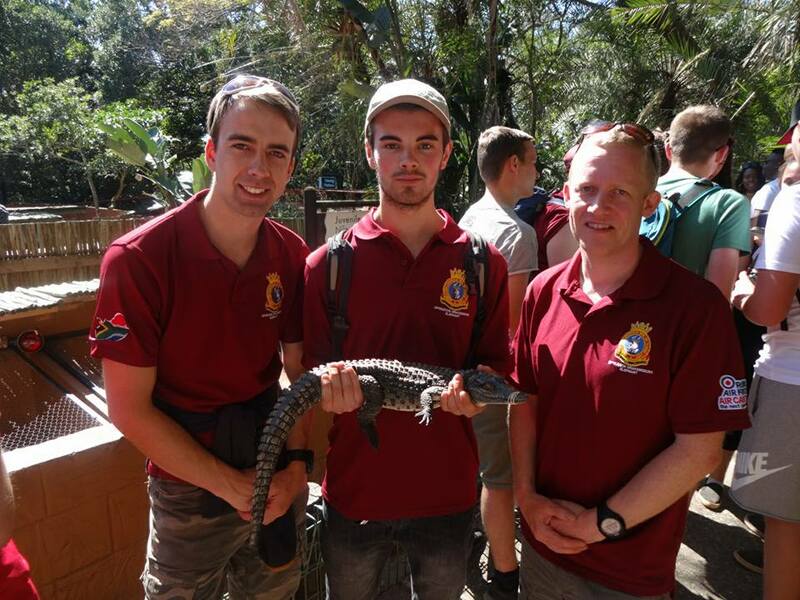 The people of South Africa are very worried about how endangered they are and Tommy in particular spoke very emotively and passionately about this, it hit some of the cadets quite hard. Tom Wilkes was clearly very moved by this cause and Tommy’s speech. Subsequently, Tom has started sharing this cause on social media, creating awareness of the endangered White Rhino and how important it is to look after these animals. On the first evening in Albizia Camp, all of the girls came running over to the staff, as Yasmin Rose came across a large spider on her sleeping bag as these spiders can grow up to 30cm. Tommy, our host, along with the staff headed over to the girl’s tent. Upon realising it was a Huntsman Spider, Tommy proceeded to explain that these are completely harmless spiders and picked the Huntsman up to show her how harmless it was. Reluctantly, after a minute or so, Yasmin allowed the spider onto her hand and let it crawl up her arm. After admitting that it wasn’t too scary and it tickled, the rest of the girls handled the spider before placing it down outside their tent. The morning we left Albizia Camp, Yasmin had found another Huntsman spider and was walking around as it crawled all over her and said that she was quite sad that she would possibly not see one again. It was very interesting to see how she had changed her perception and embraced the wildlife when two days prior she was terrified. Our final destination was the beach town of St Lucia. It was a great opportunity for some rest and recuperation. We visited the Croc Centre where we learnt all about how Crocodiles live and all of the different breeds. There was also time for a day at the beach where we played Volleyball and we got to witness the baby whales breeching in the distance as they travelled down from northern Africa. On one of the afternoons we took a river cruise out to see hippos, crocodiles and fish eagles, a truly incredible experience. We even witnessed a family of Hippos chase out a young crocodile from the shore that posed a potential danger to the young hippos. After a couple of minutes, the mother came out from the trees as she had seen the crocodile. After this, so did the other older hippos and they pushed the croc out into the water away from youngsters (who went merrily crashing back into the water, with not a care in the world). Unfortunately, this led to our departure home to the UK. This venture provided opportunities for the young people of Warwickshire and Birmingham that many couldn’t have dreamt of. I am proud to say that so much hard work went into this expedition and the impact that it has had on the lives of our cadets has been life changing. 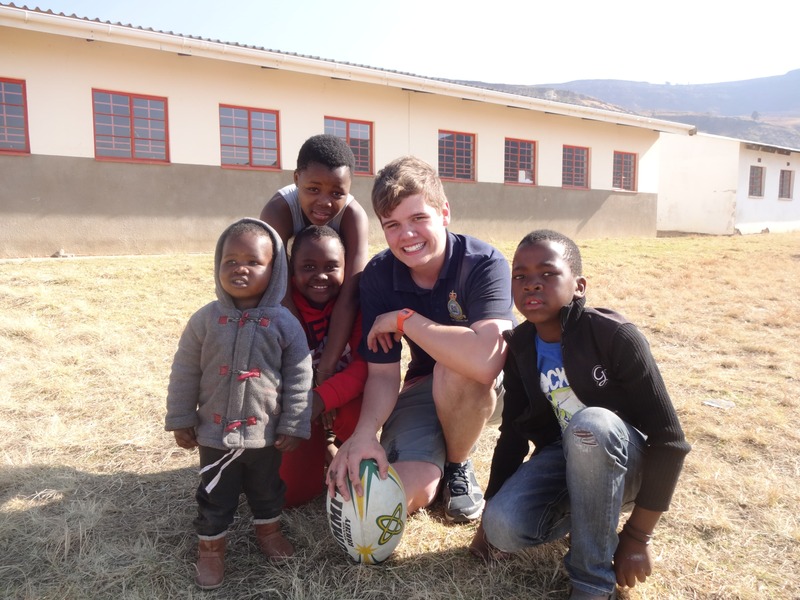 A few have gone on to look at working with the Entabeni before heading off to University, others have taken to fundraising to support the Rhinos in South Africa and some have decided to get fit and healthy. Most of all, everyone returned safe and well. True to the vision of the Ulysses Trust this venture has met the vision of the Ulysses Trust. Our venture has enabled the cadets to undertake challenging adventurous and community-related activities, thereby to help the engagement and development of young people in our society. 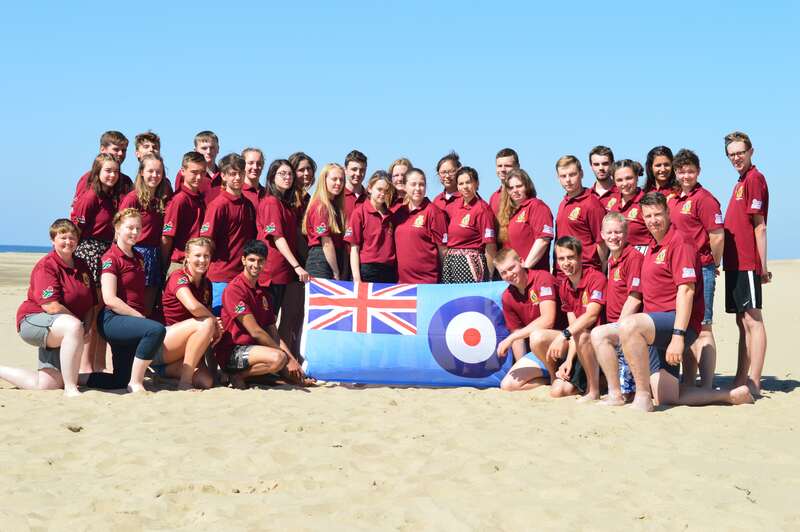 This experience has ignited the flame of curiosity and realisation within many of the cadets. Even before we boarded the plane home, discussions had been heard on where cadets want to go on their next adventure, whether it be with the Air Cadet organisation or under their own steam, through travelling, university, work or college. Our thanks go to the generosity of the Royal Air Force Charitable Trust and The MacRobert Trust for supporting this expedition.